An Artesia man was sentenced Friday in Fifth Judicial District Court in Carlsbad on a second-degree murder conviction stemming from the 2010 shooting of a local woman. 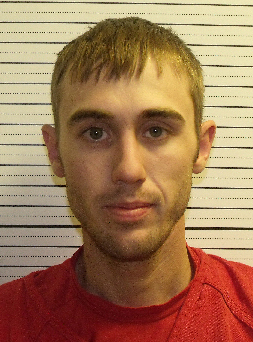 Dallas Hnulik, 28, was sentenced by Judge Lisa B. Riley to 16 years in prison with four years suspended for the murder of 32-year-old Brandy Capps of Artesia. Hnulik was convicted of the crime by a district court jury July 15. The shooting occurred July 31, 2010, at a residence on North 13th Street. Capps, who was seated in the passenger seat of a vehicle, was killed when Hnulik, from the backseat, fired a shot to her head from close range with a single-action revolver. During the trial, firearms experts discounted Hnulik’s allegation that the gun discharged accidentally. State attorneys also pointed out a history of domestic disputes between the couple. Capps’ mother, Brenda McKnight, spoke in court Friday, stating she knew Hnulik was under the influence of “the devil named meth” and had forgiven him. However, McKnight said, his sentence “would never make up for” the death of her daughter. Riley, who called the case a “dangerous mixture” of methamphetamine use and domestic violence, also ordered Hnulik to complete drug treatment and domestic violence intervention. Following his 12-year sentence, he will remain on supervised probation for the suspended four years. “It is my sincere hope that this sentence will bring some closure to the Capps family and the community,” Balderas said.